Why do you need to face fit testing? Where Respiratory Protective Equipment (RPE) is used, it must be able to allow sufficient protection for individual wearers. RPE can’t protect the wearer if it leaks. The main cause of leaks is due to poor or tight-fitting face pieces. The mask needs to fit the wearer’s face to work effectively. People have different shaped faces so therefore it is unlikely that one particular type or size of RPE face piece will fit everyone. Fit testing will assure that the mask selected is appropriate for the wearer and is serving its purpose. For more information on Face Fit Testing click here. 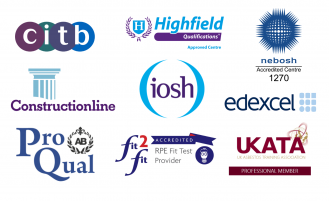 Is the Face Fit Testing course accredited? When does my Face Fit certificate expire? In order to follow COSHH regulations employees working in the appropriate conditions must have a tight-fitting respirator. 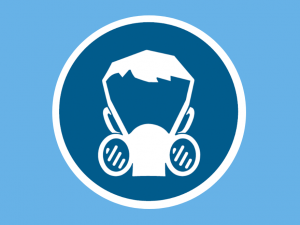 Face fit testing is also needed to follow the Control of Lead at Work Regulations and the Control of Asbestos at Work Regulations. You must provide your own mask on the day and be cleanly shaven to attend this course. What is Required to Pass the Face Fit Testing Course? The delegate will wear their selected RPE and perform a sequence of light exercises. (A trained operator assesses the exercises. The operator will conduct either a qualitative or quantitative test). The quantitative test is designed for all tight-fitting masks. The qualitative test is tailored towards half mask but not full masks. 3B Training can produce certificates on the same day subject to payment being received and cleared prior to testing date.